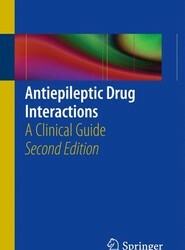 This updated third edition of a successful book is a description of both pharmacokinetic and pharmacodynamic antiepileptic drug (AED) interactions, including details of the magnitude and mechanism of interactions, and also of drug combinations that are not associated with interactions and therefore can be coprescribed without undue concern. Presented in alphabetical order and by drug class, drug interactions that occur between AEDs and also between AEDs and non-AEDs are described in three sections: Drug interactions between AEDs; Drug interactions between AEDs and non-AED Drugs: Interactions affecting AEDs; Drug interactions between AEDs and non-AED Drugs: Interactions affected by AEDs. 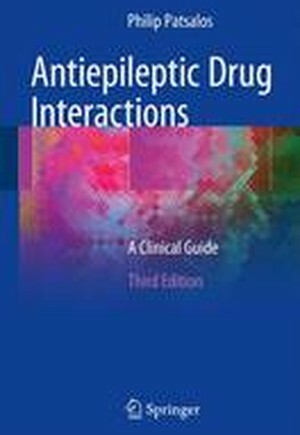 Antiepileptic Drug Interactions: A Clinical Guide, 3rd Edition with its clear, concise and unambiguous content will allow physicians and allied health professionals to make more rational choices when AED polytherapy regimens are indicated. There is always a choice and avoiding highly interacting drugs and choosing drug combinations that are minimally interacting or do not interact should be the goal in treating patients with epilepsy. This book provides all the necessary information so as to allow this goal to be achieved and, if necessary, to aid effective management of AED interactions.